Trussell Trust fears the next stage of Universal Credit will see Foodbank Use Soar. The Trussell Trust has published this Press Release, which should be taken very very seriously indeed. 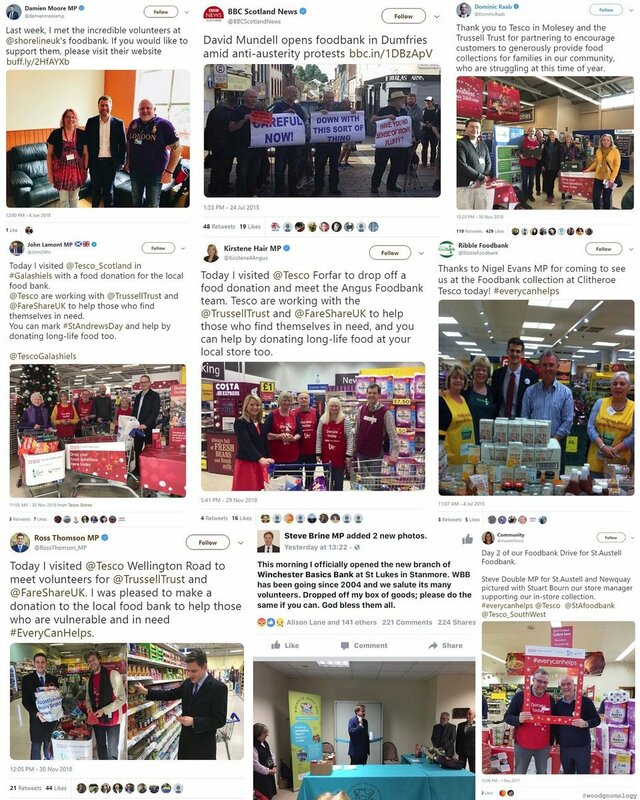 Not least because many of our contributors are already on Universal Credit and many will also be affected by “managed migration” onto Universal Credit. Charity warns next stage of Universal Credit could further increase foodbank use. 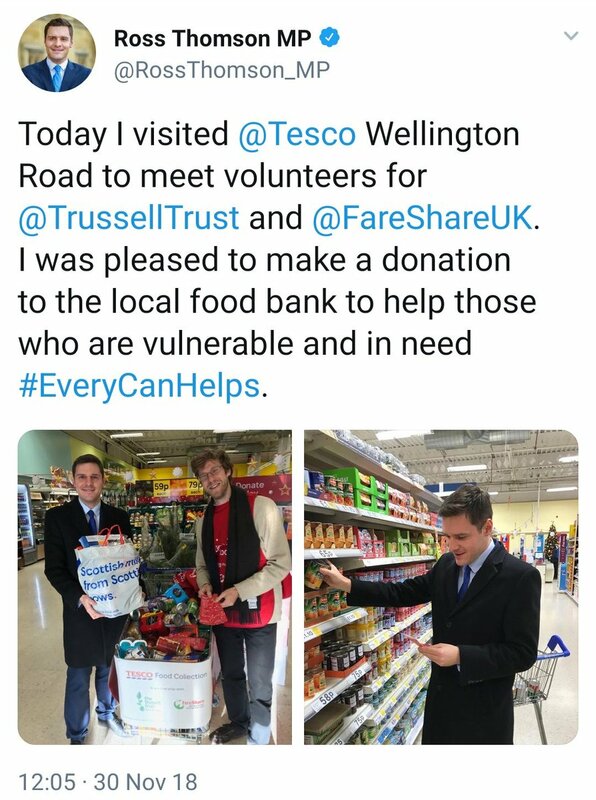 When Universal Credit goes live in an area, there is a demonstrable increase in demand in local Trussell Trust foodbanks. 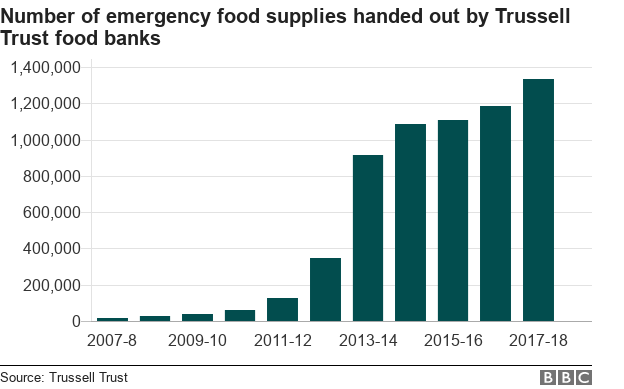 On average, 12 months after rollout, foodbanks see a 52% increase in demand, Credit for 3 months or less. This increase cannot be attributed to randomness and exists even after accounting for seasonal and other variations. likely driving up need in areas of full Universal Credit rollout. Waiting for the first payment is a key cause, while for many, simply the act of moving over to a new system is causing hardship. 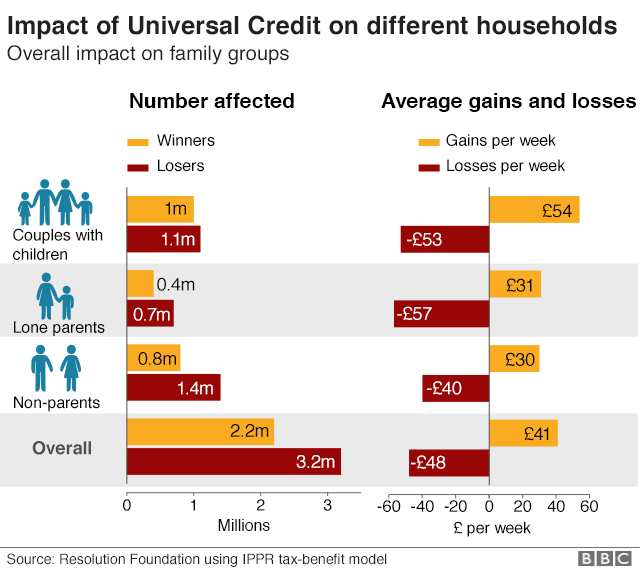 This poses serious questions for the next stage of Universal Credit, where many people could lose their benefits entirely or find themselves with less income. The Department’s current plans involve sending letters to people informing them their claim will be terminated if they do not apply for Universal Credit within a four week period. Each claimant will then have to wait at least five weeks for their first payment. Last month the mayor of London, Sadiq Khan, warned that managed migration posed a “significant threat of harm” to vulnerable claimants, and that the rollout should be paused to enable stronger protections to be put in place. Universal credit, which rolls six working-age benefits into one monthly payment, has been dogged by delays – it is currently six years behind schedule – and has been much criticised over design flaws that leave thousands of claimants in hardship.